A twenty-year veteran of New York city's music scene, Phil has performed as a jazz soloist with many legendary artists, including Dizzy Gillespie, Woody Shaw, Clark Terry, Bobby Shew, Richie Cole and his "Alto Madness Orchestra", the Gil Evans Orchestra, and Tito Puente. He also performed as a soloist regularly at the Rainbow Room in the NBC building in New York City for three years, worked as bass trombonist with the Radio City Music Hall Orchestra on the "Christmas Spectacular with the Rockettes," and as harmonica soloist for the Broadway show "The Civil War." Phil has played on the Today Show, and has been featured as a YAMAHA Artist on the CBS Evening News, Fox News, and Reuters Newsfeed to 32 countries as spokesperson for the YAMAHA Silent Brass System. 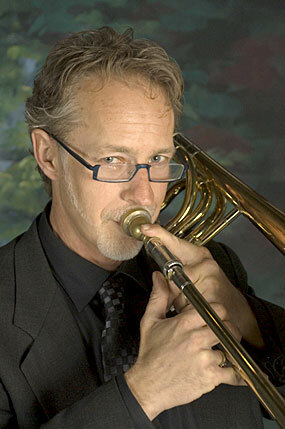 Phil is currently working as a jazz soloist and recording artist in New Mexico, and will be touring high schools and colleges in the U.S. as a YAMAHA Clinician and Performing Artist Fall '09 through Spring 2010. Please e-mail clinician inquiries to: YAMAHA Artist Services, Inc.